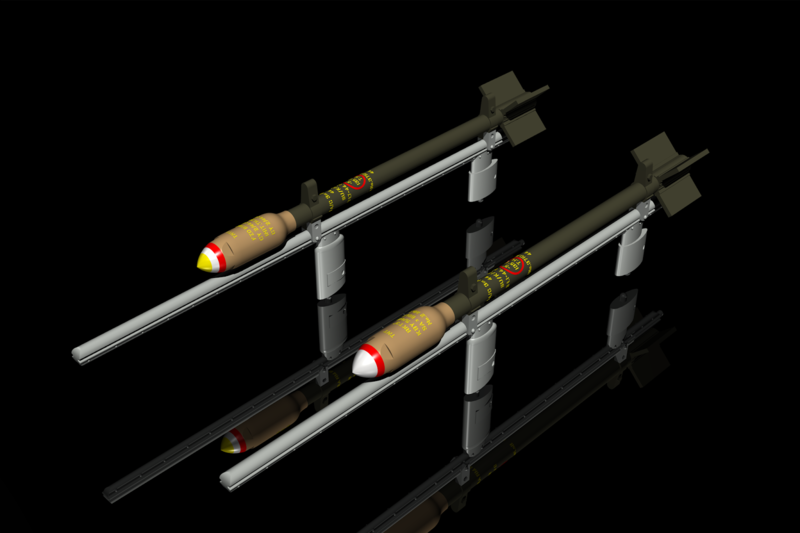 This December, besides our standard range of plastic models, the Special Hobby team are going to offer also a 1/32 weapon set depicting the almost ubiquitous British RP-3 rocket projectiles. The sprue on which this set comes was originally designed for our 1/32 Tempest Mk.II models, but given the fact that these projectiles were used on a wide variety of RAF warplanes (beginning with the venerable Swordfish biplanes and ending for instance with a jet-age Hunter), we have decided to offer the set separately on a market. In total as many as eight projectiles with the launch racks are contained in the set, as well as a sheet of decals.